This morning marks 28 years since Michaela was kidnapped. It is 8:00 a.m., a little over two hours before that awful event. It is a safe time to travel back to. I think about life 28 years ago at this moment, when life was still perfect, when Michaela was still a happy, innocent child. It was a sunny Saturday morning with a week off school to look forward to! Around this time, Michaela was getting together with her best friend Trina, to begin this fateful day. I will write more later, and update you on the anniversary from my point of view. But for the moment I don't have the words in me. So instead I would like to offer some words from two other people. The first are from Michaela's friend who was with her that morning. 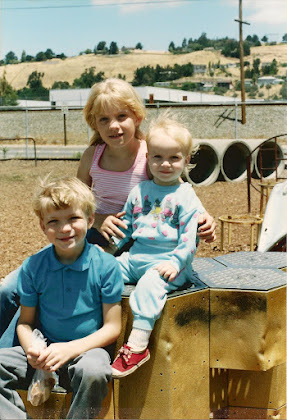 The second were written by Michaela's sister, Libby, who was three years old when she was kidnapped. She wrote this several years ago, but I came across them this morning and my heart was touched. And thank you, to everyone for remembering Michaela. "Tonight involved going on my annual pilgrimage through memories of November 19, 1988. I've discussed it up and down, sideways and backwards with Andy...perhaps searching for meaning, or just rambling and coping...giving into tears, at times. 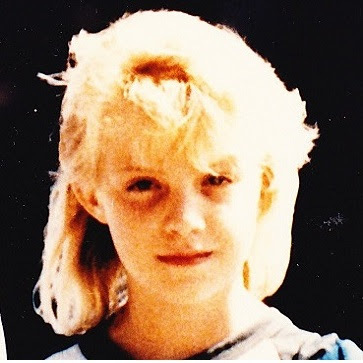 Tomorrow marks 28 years since my friend, Michaela Garecht, was kidnapped. We read and updated the Wikipedia page about her. This year I pulled out my copy of the initial eyewitness police report, complete with my 9-year old handwritten name. I always end this yearly journey breathing slowly and deeply, now that I've emptied myself out...quiet because I'm unsure that anything I say really matters anyway...resigning myself to the fact that what is, is. May Michaela be remembered this Saturday and always. Perhaps this is the year we will have answers, or, perhaps I will be typing something very similar in exactly one year. Nevertheless, if you want to go on this journey with me, pray for peace for Michaela, her family and friends, and for my family, as well. 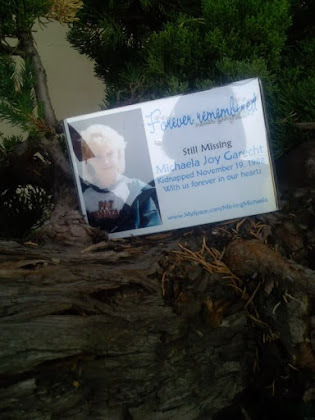 It has been a shaping force in our lives, and Michaela and this event deserve remembrance." I don't know how to express my gratitude for those people out there, who don't know my family, who did not know Michaela, but who keep her memory alive. Who fight to make sure she is never forgotten. Who help to let the world know that she was here. Who go out of their way to do something nice like this without getting anything in return, going on nearly 24 years after her abduction. She HAS touched the hearts of so many and it's things like this that remind me of that. We WILL remember you Michaela. You have left behind a legacy that will never be forgotten." Michaela, wherever else you are, you are in my heart. I can feel you in every heartbeat, sometimes as a smile, sometimes a sob, something a lightness and joy, sometimes the deepest heaviness. But I love you today and always, and however it may have seemed, you have never been alone. You may be lost, hidden, but you will never be abandoned. I love you forever, my sweet child. I have been thinking of Michaela since I woke up this morning. I'm watching the clock so that exactly at 10:15am I will be lighting a candle for her. And pray that light comes to her path and that if she is alive she finds a way to contact you. 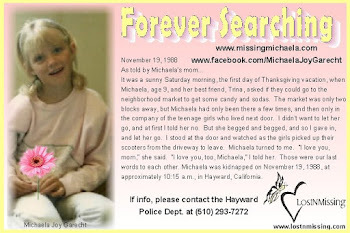 I was a teenager in Hayward when Michaela was abducted. 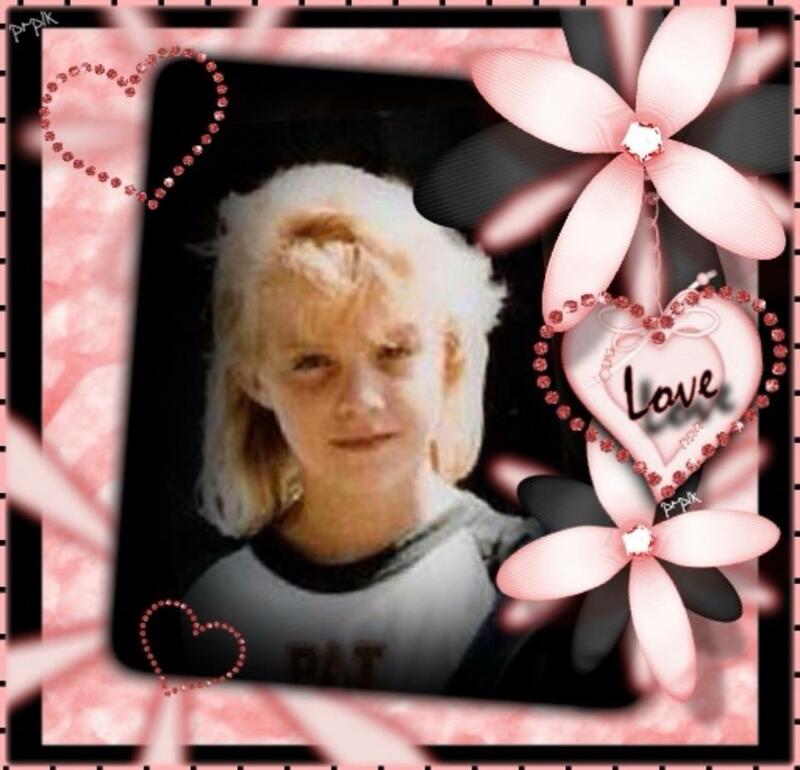 After all these years I think about her often and pray for her and her family that loves and misses her so. Both Libby's and Trina's post are so touching and sad. I have been thinking about Michaela all week. I posted here just before 10am this morning after I tied my pink ribbon. I didn't know where to put it so I tied it to the string on my window blind. The window is in the room where my computer is and this is where I spend most of my time. I know this day has been Hell for you Sharon. You are not alone. 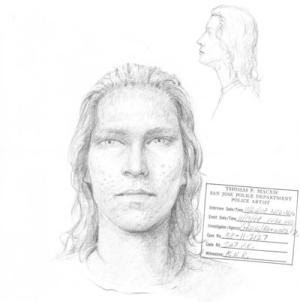 It is unreal how many cold case kidnappings there are. Ones that you never heard about when they happened. I searched on name and it took me to another and another, etc. So many children who were murdered or never found. It is sickening. I hope you have found some peace today in your other children and grandchildren. We stand with you always, Sharon. We stand with you and your family and with Michaela. Our hearts are with you and we love you. Your children seem to have inherited your skill of writing that moves the reader. 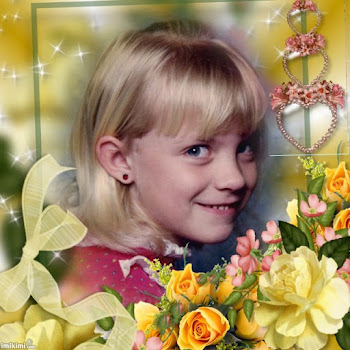 I was 8 years old when Michaela was taken, and I too think about her often. I, too, had been to Rainbow market many times. 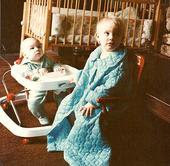 With blonde hair and blue eyes, it could've easily been me. I'm sure my parents held us a bit closer, kept closer watch because of your tragedy. Heck, I probably hold my own children a bit tighter still. 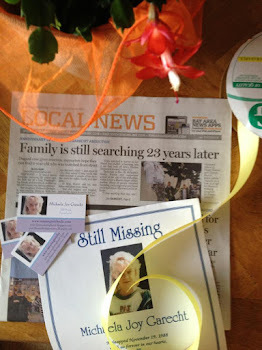 I'm back in the area visiting my own family for Thanksgiving, and hoping that one day soon, you get answers for yours. I just found out about your daughter and looked her up to discover more. I am so sorry for what happened to her and I hope one day you do find out what happened. Something that really struck me when reading about her and your blog was that she was kidnapped when I was three days old, it's crazy to think she's been missing practically my whole life. Secondly, her birthday is just five days before my sister. Isn't that strange?